The original concept behind LIVE CITY was inspired by the ambitious artist playing the small local venue with the dream of making it big. I wanted to showcase artists by recording and producing videos of their on-stage performance. Something they would be able to replay, and share with all of their fans. And although live music will always be a main focus, the idea has evolved to include a broader range of content that encompasses any live event in the city. 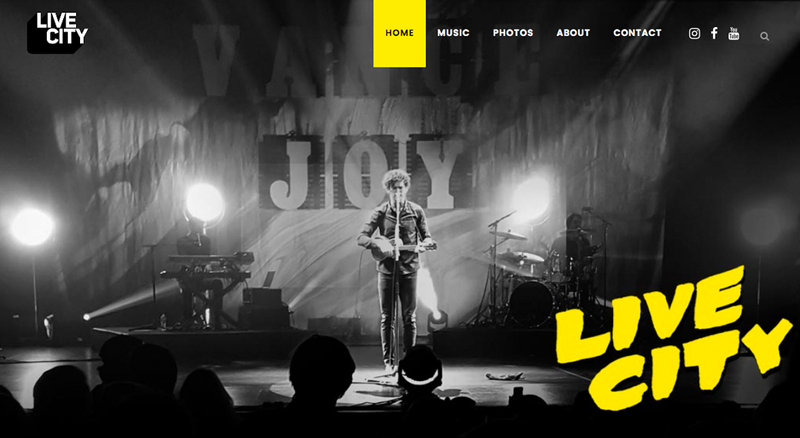 I developed the logo and the website, mimicking a dark concert environment contrasted by the bright yellows and oranges of a spotlight shining down on a performer. 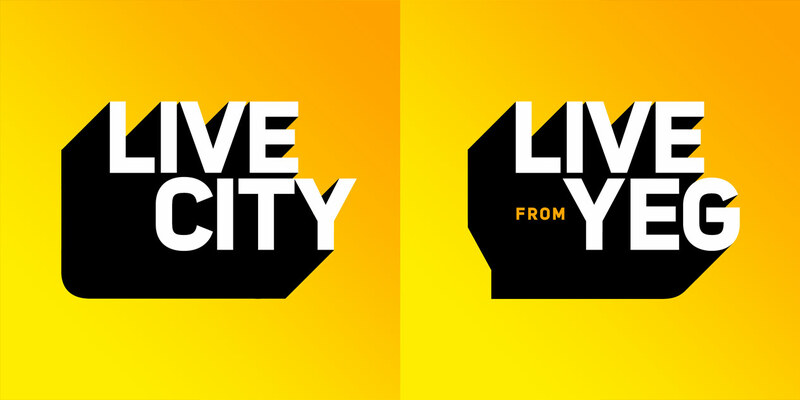 The logo comes in two variations, the more generic LIVE CITY for the website and YouTube channel, while LIVE in YEG has a more local feel, used for Facebook and Instagram. Its bold and blocky 3D nature is meant to stand out and give a “larger than life” impression. The style used for the home page and social media graphics are actually a play on the Sin City movie posters – black and white imagery but with a yellow font-color replacing the iconic red. 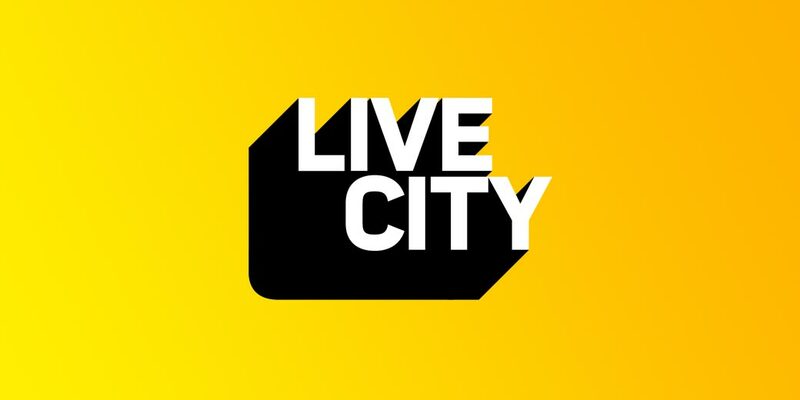 Experience the website at live-city.ca.